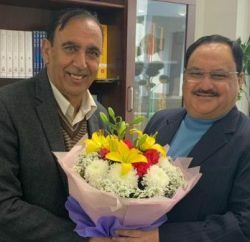 Chief Parliamentary Secretary and Jubbal-Kotkhai legislature Rohit Thakur and CPS Rampur MLA Nand Lal have lambasted at the former Horticulture Minister Narinder Bragta statement in which he had accused the government of neglecting apple growers. In their joint statement, Congress leaders alleged that Bragta was levelling such baseless charge with political motives. They stated that despite being a minister in the BJP government, Bragta failed to protect the interests of the apple growers. Congress leader claimed that despite inclement weather, the administration was ensuring proper maintenance of roads and availability of trucks and packaging material. All the apple procurement centres established under the Market Intervention Scheme were functioning smoothly and more than 1.5 crore apple boxes had already been sent to various markets of the country. They said with the efforts of the government, growers were getting better prices in markets within the state and this had also helped in saving them from exploitation by the middle man, besides reducing transportation cost. They reminded Bragta that it was during his tenure as minister the Theog-Hatkoti road remained in a bad shape for years and apple growers were forced to pay freight to their produce. 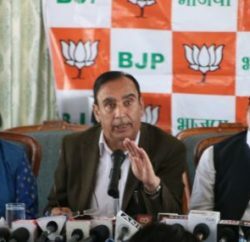 Earlier Bragta has accused Govt of neglecting apple growers and also blamed also Congress led Govt of insensitive towards infrastructure as bad shape of Rohru-Theog, Chopal-Sainj and other connective roads were resulting in frequent traffic jams and causing huge loses to growers and truck owners. He also accused Govt for not controlling the middlemen as they were fleecing growers. 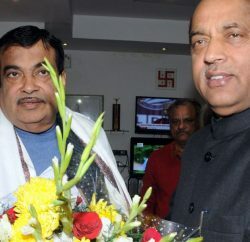 He had also raised an issue of import duty and blamed Govt for not taking it with the central government.